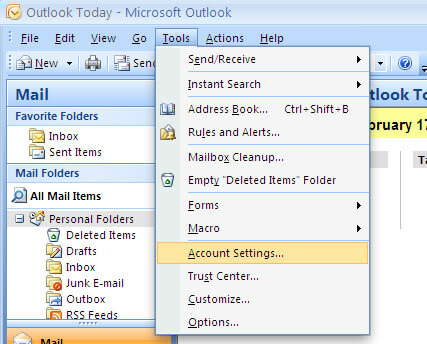 How to update your username to your email address if you are using Microsoft Outlook 2007 as your email client. In this instruction, username is the name of the user e.g. smith or jame.low or david.joes. 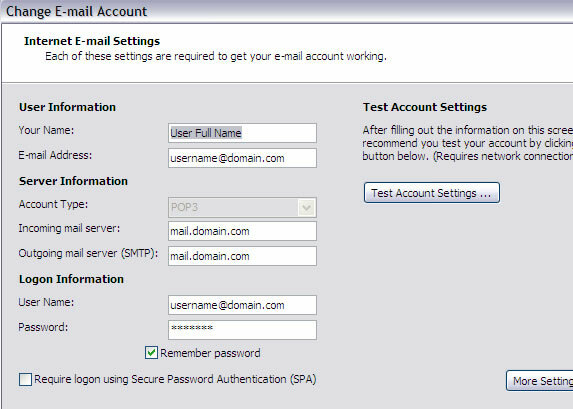 Email address is username@domain.com where username can be simth and email will be smith@domain.com. username@domain.com also represent that domain.com is your email domain name e.g. joe@macrocraft.com so domain.com is macrocraft.com. 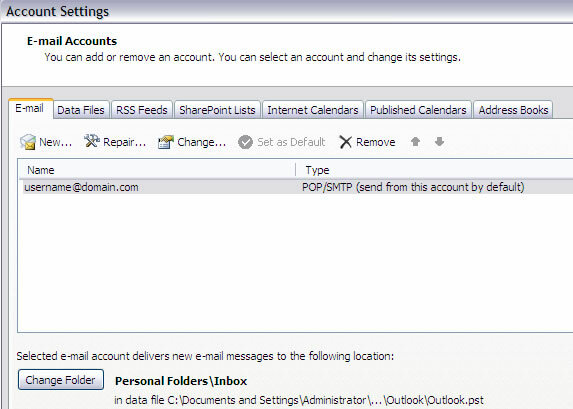 Select email account to edit and select Change. 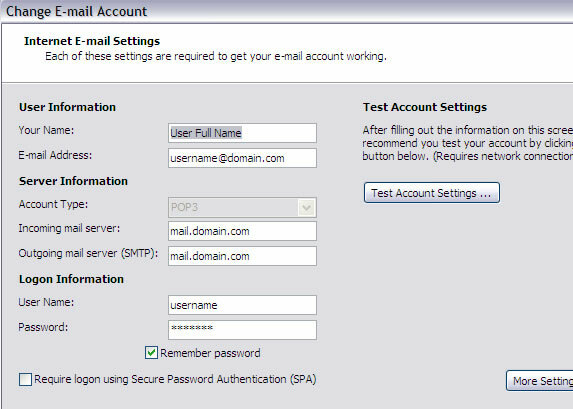 In 'Internet E-mail Settings (POP3)' windows, select the User Name field. Select Next and in the next windows, select Finish.